Those in the know will tell you that vanity has played a major role in the recent vinyl revival. 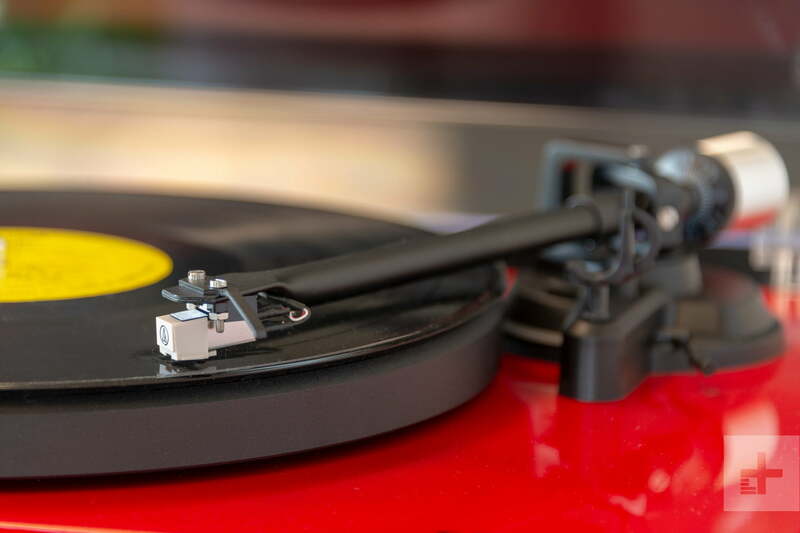 In a study done by the BBC in early 2016, reporters discovered that seven percent of vinyl buyers didn’t own a turntable, and 41 percent owned a turntable but didn’t ever use it. 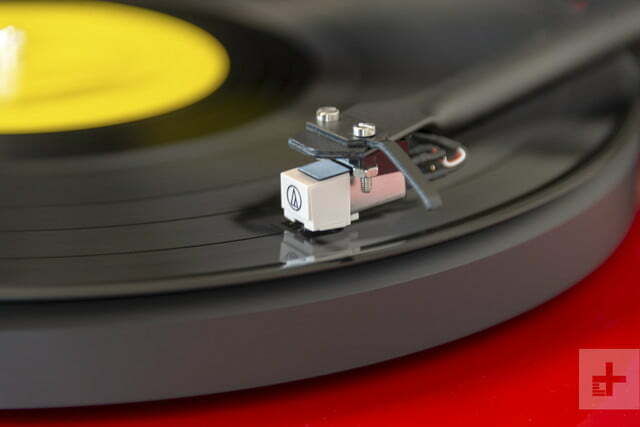 Whether buyers are shelling out for bigger album art to hang on a wall, a collector’s item to pass down to their kids, or simply paying extra money it to support a favorite artist they routinely listen to on streaming services, it turns out that nearly half of them never actually drop a needle on their stacks of wax. With its stylish new C6, Crosley has set its sights directly on this less-enthusiastic segment of the vinyl market. 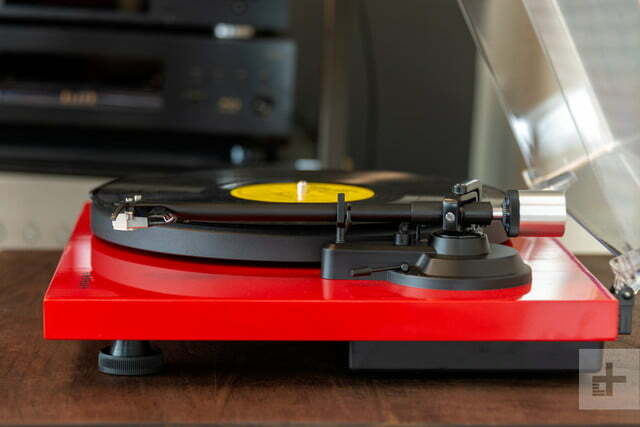 With gorgeous looks, decent sound, and an extremely palatable price, the C6 will lure in those without turntables, and covert those using a mothballed deck from their parents’ glory days. Bottom line: There’s no better entry-level option for vinyl newcomers that want to impress their pals with the sweet sounds of analog but don’t want to invest a huge amount of cash to do it. 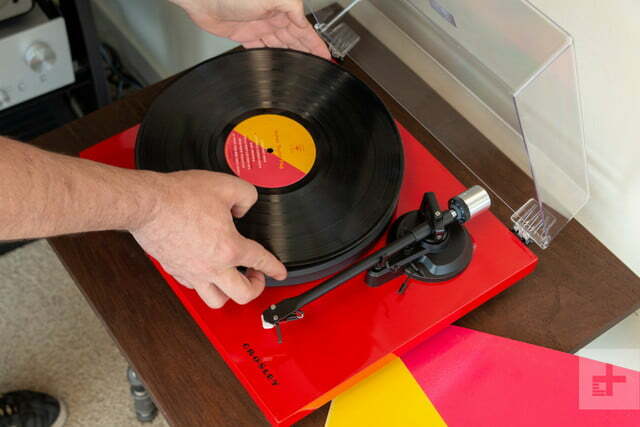 Like most turntables, the Crosley C6 comes in pieces. Inside a basic cardboard box you’ll find a clear plastic dust cover, the platter, deck, counterweight, belt, power cable, and assembly instructions. Putting the C6 together is reasonably quick and painless. Simply click on the plastic dust cover, place the belt around the motor and a plate below the center spindle, and put on the platter. 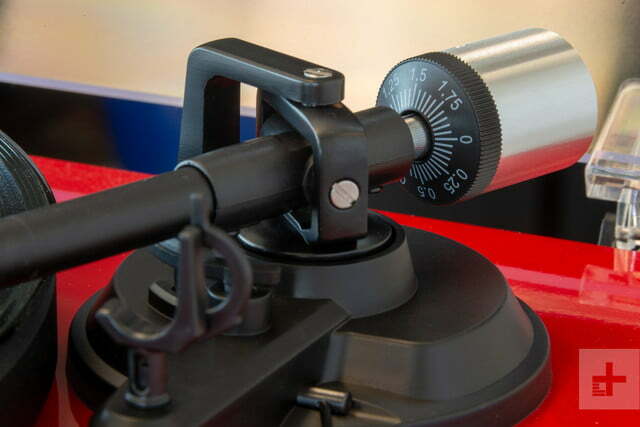 Once that’s done, all you need to do is install the counterweight — first by twisting it to a neutral floating position, then to the factory recommended position using the numbered dial on the front – and you’re on your way to vinyl bliss. The first thing you’ll notice about the C6 — even before you get it put together — is how amazing it looks. With black hardware and no frills except for a simple Crosley logo on the dust cover, the glossy car paint on the base of the unit gives the impression that the C6 costs many times its entry-level price. Speaking of paint, those who prefer an understated look will appreciate the black gloss colorway, but those seeking a more eye-catching look will love it in white or the Italian-supercar red that came with our review unit. 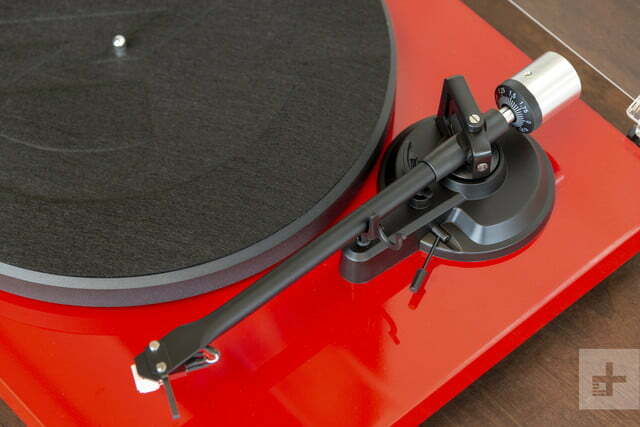 There’s no prettier entry-level turntable on the market, and that’s going to be a primary driver of sales for the C6. 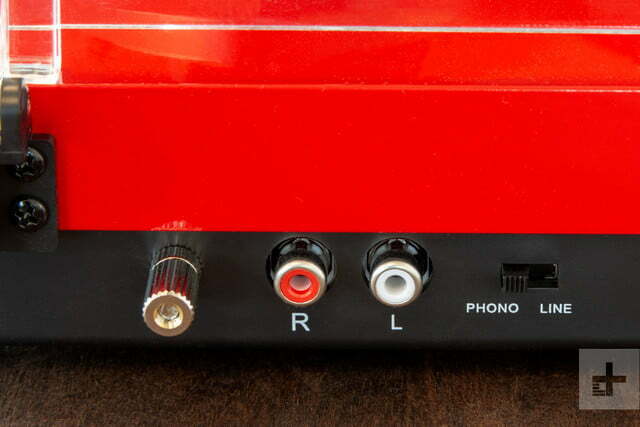 When you move to connecting your C6 you’ll need to determine whether or not you want to use the deck’s built-in phono preamp. If you want to use your receiver or integrated amp’s built-in phono stage or an outboard phono pre that you already own, keep the switch on “phono”. Switch it to “line” and the C6’s built-in phono pre will take over and amplify the signal for use with a normal input on your stereo or powered speakers. RCA terminals represent the only output available — there’s no USB, 3.5 mm, or Bluetooth outputs on offer here. The C6 is a fully manual turntable, meaning there’s no auto-return feature — you’ll have to return the needle to its holder yourself at the end of each side. 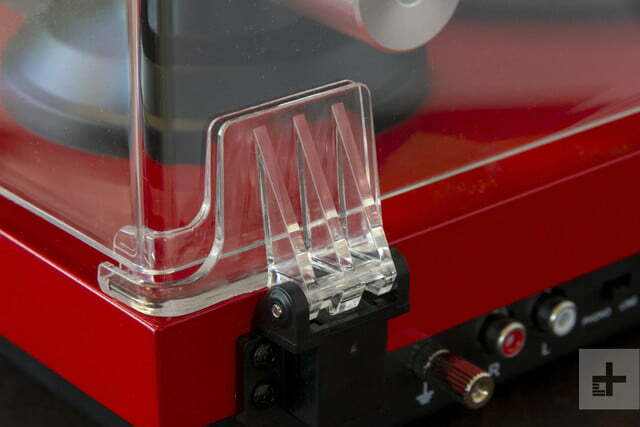 The C6 is a fully manual turntable, meaning there’s no auto-return feature — you’ll have to return the needle to its holder yourself at the end of each side. 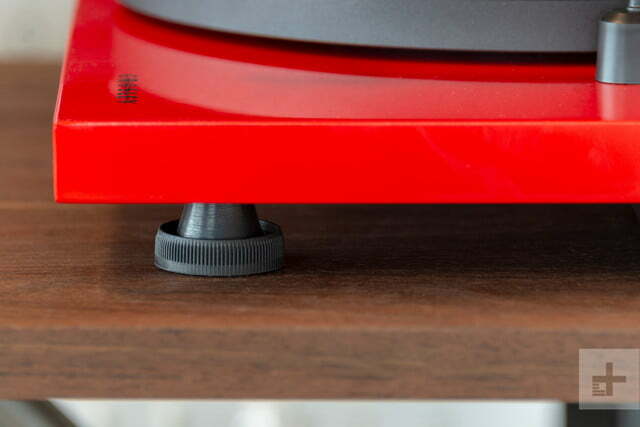 The C6 also doesn’t have an above-platter speed control, so you’ll want to make sure you’ve placed your belt around either the 33 RPM or 45 RPM section of the motor when you set it up, depending on what you plan on playing. Because the platter itself isn’t directly surrounded by the belt, changing the speed is as quick as popping off the platter and shifting the belt up or down, but if you’re the kind of listener who goes back and forth between formats (which seems unlikely given this deck’s affordable price point) you might want to spend a bit more on a deck with above-board speed controls. 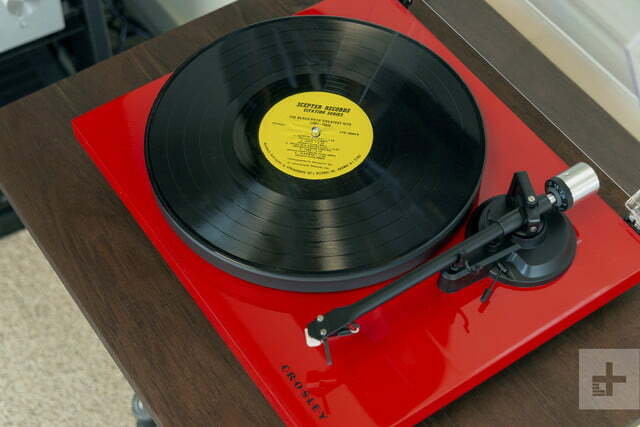 The Crosley C6 sounded great, especially considering its low price point. The included Audio-Technica needle was perfectly centered right from the factory, and we never had any issues with the needle jumping out of a groove, even on bass heavy tracks from a special edition of Kendrick Lamar’s DAMN. In virtually all aspects, the C6 mirrored the performance of the slightly more expensive Crosley C200 table we reviewed previously, with the built-in phono preamp doing fairly well at low and medium volumes, but revealing a small amount of distortion when we really pushed up the volume. 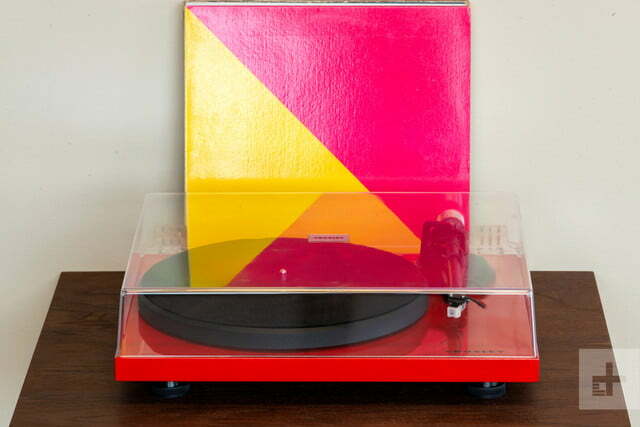 We checked out everything from a classic version of Fleetwood Mac’s Rumours to a freshly pressed version of Ryan Adams’ Cold Roses and came away impressed with the amount of air and dynamic contrast that we were able to get out of this affordable record player. Sure, it didn’t offer as much clear detail as higher-end tables like the aforementioned C20, but it definitely held its own during various side-by-side tests with more-expensive decks. Perhaps the most exciting performance aspect of the C6 is just how easy it is to upgrade. Throw a few bucks at a solid outboard phono preamp, change out the stock stylus for something a bit nicer, and add some mass to the platter with a record weight, and the turntable could last through many other system upgrades before it becomes the bottleneck in your vinyl listening setup. We checked out everything from a classic version of Fleetwood Mac’s Rumours to a freshly pressed version of Ryan Adams’ Cold Roses and came away impressed. Considering how great it looks as well, the C6 becomes an especially enticing option for first-time buyers. You won’t be strapping your saddle to a device that you’ll quickly mothball in favor of something nicer, should you decide to embrace the vinyl hobby even further. Crosley offers a one-year warranty from the date of sale, covering defects in material or workmanship. 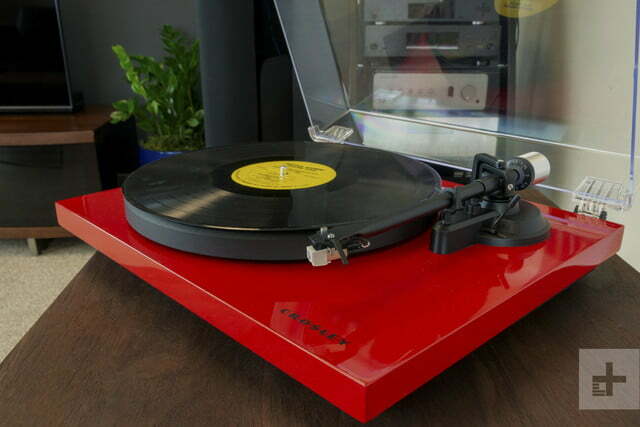 The C6 is a beautiful entry level turntable that performs well out of the box with solid upgrade potential for the future. 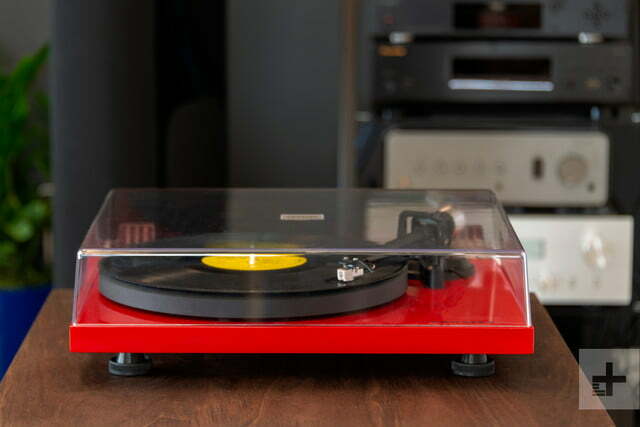 If you’re after a beginner record player that looks as good as possible, there is absolutely no better choice. That said, those who want a few more features should consider spending a bit more money on something like the Audio-Technica LP120, which has become a classic in the entry-level market — the Honda Civic of the audio world, if you will. Crosley’s lower-tiered devices aren’t exactly known for their exceptional components or build quality, but we’ve had the opposite experience with their mid-tier and high-end decks, all of which seem to be made out of great quality materials and should last for years with routine maintenance. Yes. If you don’t already own a turntable and you want to play back those few records you’ve picked up over the years, the Crosley C6 is a perfect option.